Offering a year-round outdoor pool and views of the sea, Rooms Villa Varnali is located in the Mykonos City Centre district in M�konos City, 400 metres from Mykonos Windmills. Each room has a flat-screen TV. 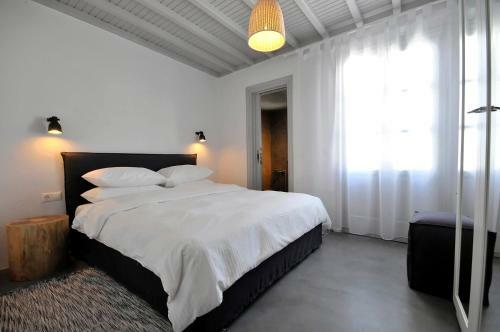 The Cycladic-style Stavroula Town Studios are centrally located in the town of Mykonos, within 800 metres from the port. They offer elegantly decorated, self-catering units with town views. 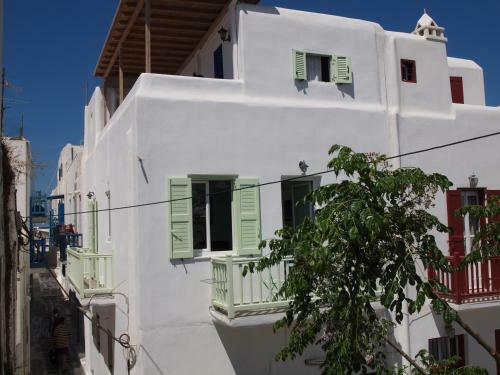 Just 100 metres from Mykonos Town Centre, Morfoula's Studios are built in Cycladic style. Set at a hill, they offer air-conditioned accommodation with balcony and free Wi-Fi. Free shuttle services from and to the port and airport are provided. The Cycladic-style Kymata is centrally located in the scenic Mykonos Town, within walking distance from restaurants, shops and bars. Free Wi-Fi is provided in public areas and free transfer from the airport or port can be arranged on request. Located at the centre of Mykonos Town, Villa Francesca is traditionally built in Cycladic style. It offers accommodation with Aegean Sea views. The nearest beach is 100 metres away. Offering a communal pool with a sun terrace, Siourdas is 100 metres from Agios Sostis Beach. 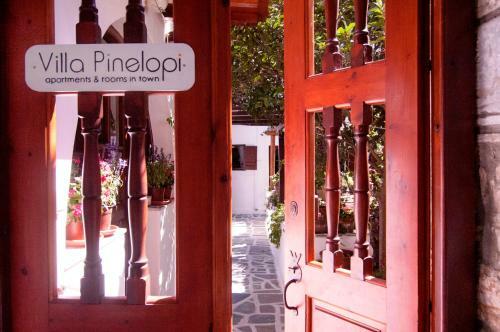 Traditionally built in Cycladic style, it features air-conditioned accommodation with free Wi-Fi. Mykonos Town is approximately 8 km away. Featuring a pool and panoramic Tourlos Bay views, Villa Thea Collection is built in Cycladic style, just 800 metres from Mykonos Town. It offers self-catering accommodation with free WiFi throughout. Centrally located in Mykonos Town, the Cycladic-style Villa Francesca II offers fully equipped apartments with balcony overlooking the Aegean Sea. Agia Anna Beach can be reached within a short walk. 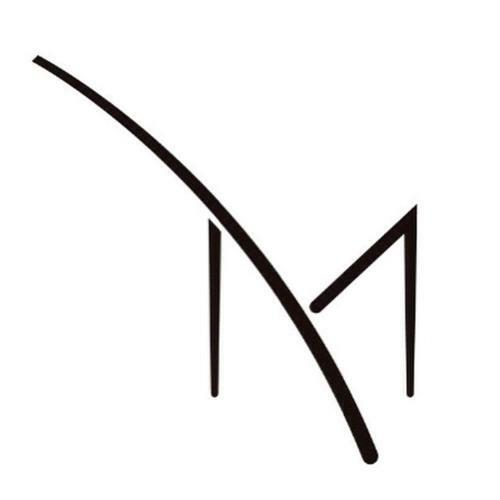 Situated in a quiet spot of Lakka in Mykonos Town, M for Mykonos offers air-conditioned accommodation within 50 metres of Italian and Greek restaurants, cafes and bars. Megali Ammos Beach is only 300 metres away. The family-run Yakinthos Residence is a complex of traditionally built studios and apartments located in Mykonos� Panormos bay. There is a swimming pool with sun-lounger terrace on site. 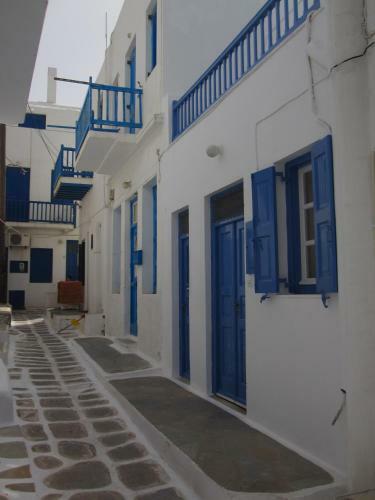 The Cycladic-style Pension Marmaras is situated in Glastros area, just 1.5 km from the capital of Mykonos. Offering a free 2-way transfer from the airport, the family-run property features accommodation with free Wi-Fi amidst its fragrant garden. Enjoying views of the Aegean Sea and sunset, La Veranda features a small, free-form pool with sun beds, as well as an outdoor bar. Located 400 metres from Agia Anna Beach and the old port, it offers free 2-way transfer from Mykonos Airport and Port. Ideally located in the centre of Mykonos Town, Madres Studios & Apartments is housed in a Cycladic-style building with a stone paved courty. It offers self-catering accommodation with free Wi-Fi access. Housed in a Cycladic-style building featuring an internal courtyard, Dimitra Pension is located in Mykonos Town within 500 metres from Megali Ammos Beach. It offers accommodation with free Wi-Fi. Centrally located in Mykonos Town, 600 metres from the nearest beach, the Cycladic-style Constantina Zorz Xydakis offers free 2-way transfer from Mykonos Port and airport. Centrally located in Mykonos Town, the whitewashed Domna Lakka is just 300 metres from Little Venice and the famous Mykonos windmills. Just steps away from the island's bustling nightlife, it offers self-catering accommodation. 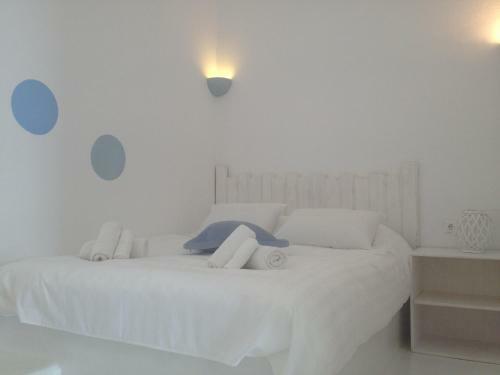 Angela�s Rooms enjoys a quiet location at the edge of Mykonos Town, yet just a short walk away from the lively centre. It offers rooms with balcony or patio and free Wi-Fi access. Loukas Pension is located only 200 metres from Mykonos Town with several dining and entertainment options. 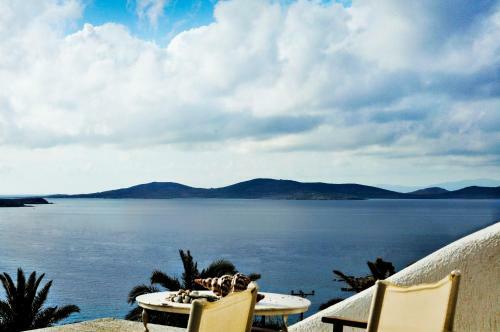 It offers air-conditioned rooms opening to a balcony with Aegean Sea view or to a patio with garden view. The stylish Fos Suites is a 5-minute walk from the beach and boasts accommodation with free Wi-Fi and a balcony overlooking the Aegean Sea and Delos Island. It is situated in Agios Ioannis, in western Mykonos. Just a few steps from the picturesque centre of Mykonos Town, Manos Rooms offers air-conditioned accommodation with a TV and private balcony. Free 2-way transfer from the port/airport is provided. Starlight Luxury Studios is located right in the centre of Mykonos Town and within a short walk from restaurants, bars and shops. 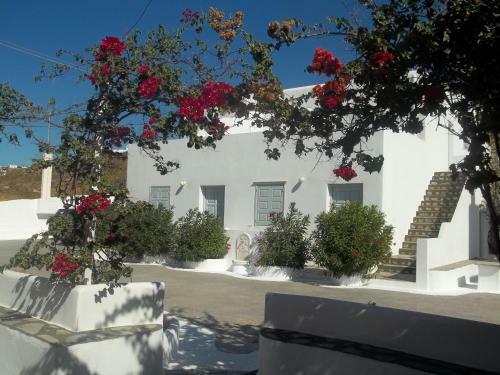 The Cycladic-style property offers self-catering accommodation with free Wi-Fi. Set on an elevated position, the Cycladic-style Germanos Studios offers rooms and studios with panoramic views over the Aegean Sea. 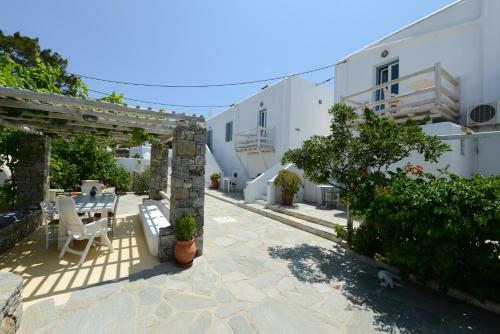 It is 500 metres away from the charming centre of Mykonos Town and 3 km from the port. Standing above the picturesque Mykonos Town, the listed building Castle Panigirakis is set amidst well-kept gardens with cobbled pathways and panoramic views over the Aegean Sea. It offers accommodation with kitchenette and free WiFi access. Consisting of 2 separate buildings, the Cycladic-style Flora is centrally located in the lively Mykonos Town, just 100 metres from restaurants, bars and shops. It offers air-conditioned units with a balcony or a window overlooking the narrow streets. Little Venice Suites is located in the centre of the romantic Little Venice area in Mykonos Town, 300 metres from Megali Ammos Beach. 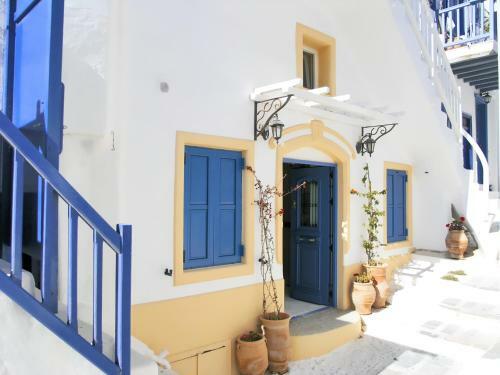 It features accommodation overlooking the Aegean Sea, the town and the famous windmills. Situated right over Megali Ammos Beach in Mykonos, the Cycladic-style Akrotiraki is a 10-minute walk from the scenic town centre. It offers air-conditioned rooms with free WiFi and a furnished balcony or shared terrace.. Within 150 metres of Megali Ammos Beach, Karavas Apartments offers Cycladic-style accommodation with kitchenette facilities and private balcony. 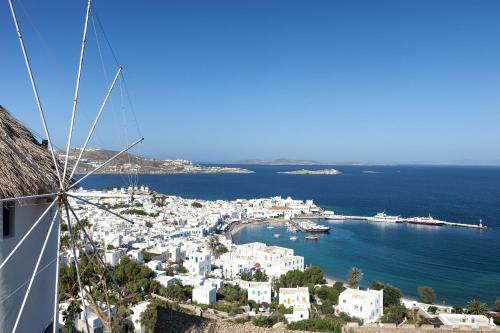 The picturesque centre of Mykonos Town is 500 metres away. 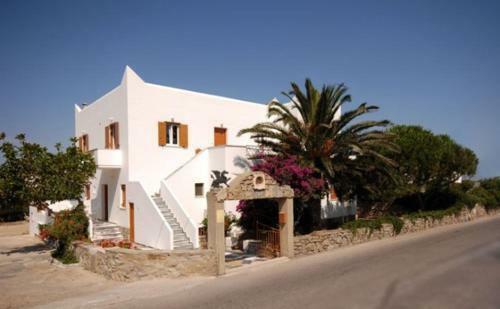 Gelos House is a traditional Mykonian hotel located 5 minutes from Ornos Beach on Korfos Bay, 2km from Mykonos Town. Some of its rooms have sea view and there is a children�s playground on site. 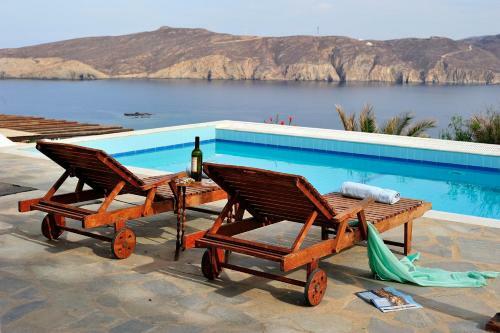 The family-run Villa Margarita is located just 150 metres from the beach of Megali Ammos and offers traditional Cycladic-style accommodation. Within a 5-minute walk, guests can reach a mini market and a bus station. 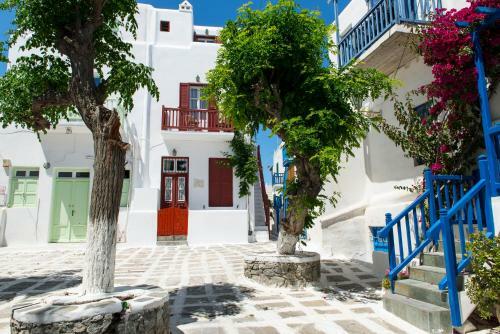 Only 200 metres from the bus stop and a 5 minute walk from the centre of the town, the Andriani's Guest House enjoys a central location in Mykonos Town. The family run La Stella Studios & Apartments are situated in the area of Glastros, 1.8km from Mykonos Town and about 1km from Platys Gialos beach. All air-conditioned studios have kitchens with pots and pans, refrigerators and tea/coffee makers. Located in Mykonos Town, the white-washed Orpheas offers air-conditioned rooms with plasma TV and free Wi-Fi. It is within walking distance from the shops, restaurants and bars of the vibrant and cosmopolitan Mykonos centre. Within 800 metres from Kalafatis Beach, Iros Boutique Hotel features an eco-friendly pool and a 100-m2 sun terrace overlooking the Aegean Sea. Just a 15-minute walk from Mykonos Town's centre, this family-run complex offers air-conditioned rooms and free Wi-Fi access. 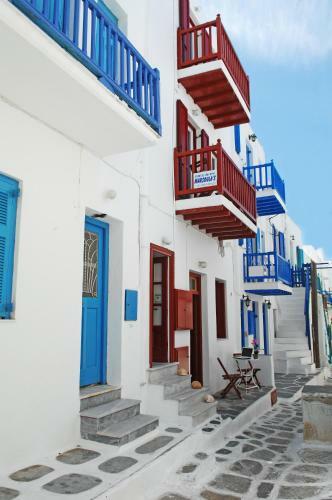 Vouniotis Pension is situated a 10-minutes' walk from the charming area of Little Venice. 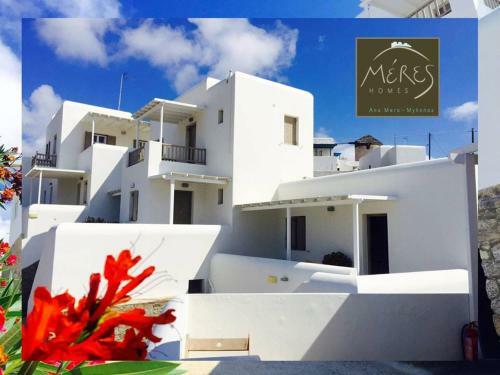 Meres Homes is located in the area of Paleokastro in the village Ano Mera. 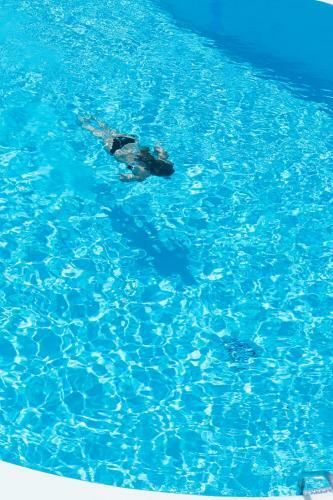 The hotel enjoys panoramic views of Panormos, Agios Sostis and Ftelia beach. Quietly located in the centre of Mykonos town, Villa Pinelopi is a traditional Cycladic complex surrounded by lush greenery. It offers air-conditioned rooms and free Wi-Fi throughout. A 24-hour front desk is available. Situated in the picturesque centre of Mykonos town, Mykonos Loft is a traditional Cycladic-style building offering self-catering accommodation with balconies. 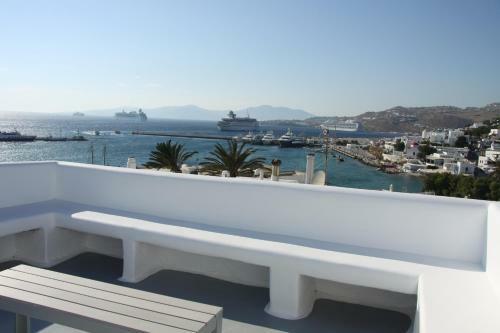 Mykonos port is a 10-minute walk away. Situated in Vothonas, just 1.5 km from Mykonos Town, Alexandros Mykonos features traditional rooms with furnished terrace or balcony. Guests enjoy free two-way transportation to the airport or port. Parking is free. 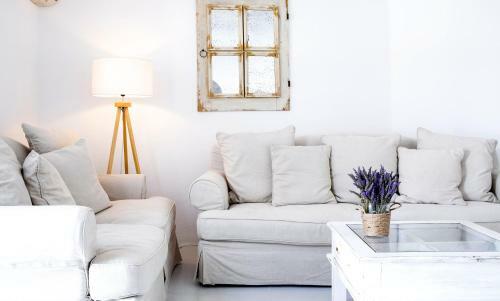 Located in the scenic town of Mykonos, the family-run Pension Joanna features bright and breezy rooms with free WiFi. The taxi rank, as well as restaurants, bars and shops can be reached within short walking distance. Mykonos Thea is located in a quiet location right on the sandy beach, overlooking the bay of Agios Sostis. It offers a swimming pool and a hot tub. 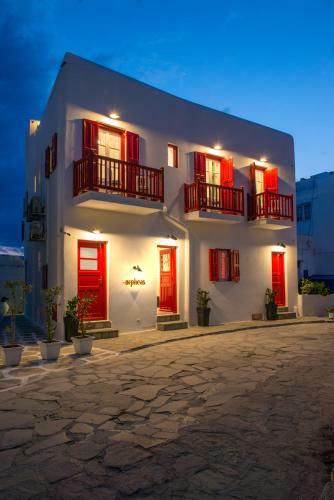 Situated in the heart of Mykonos Town, next to the popular Matogianni Street, the Marsoula�s Studios offers air-conditioned rooms with private balcony. Free Wi-Fi is available throughout and free transfer to the port/airport is offered. Situated 500 metres from the centre of Mykonos town, Geranium is a gay, men-only hotel offering a swimming pool with a large sun terrace. Its air-conditioned rooms have a private balcony. Terra Maria Hotel is located exactly in the centre of the town 'Chora', and offers tranquil environment and authentic Mykonian experience. Situated in the centre of Mykonos Town, the traditionally built Rania Apartments offers accommodation with free Wi-Fi access. It is set within a beautiful garden. Located in the heart of Mykonos Town, overlooking the Old Harbour, Vista Apartments offer comfortable and spacious self-catering studios. 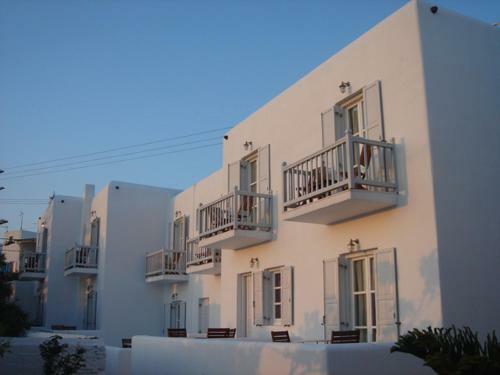 The complex is built according to traditional Cycladic architectural style. Situated just 100 metres from Platis Gialos Beach and 300 metres from Psarou Beach in Mykonos, the family-run Mina Studios offers self-catering accommodation with free internet access. Conveniently located just 50 meters from Plati Yalos Beach, Pelagos Studios enjoy a view of the beach and has easy access to most southern beaches of Mykonos. 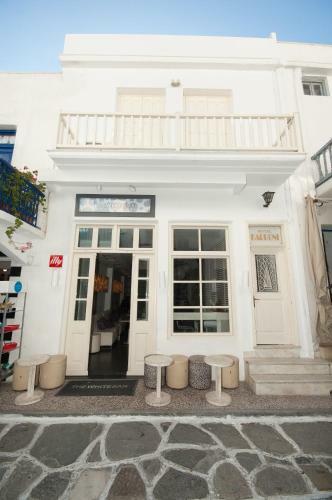 Situated right in the centre of Mykonos Town, Studio Eleni offers great value accommodation next to the trendy bars, caf�s and the windmills. 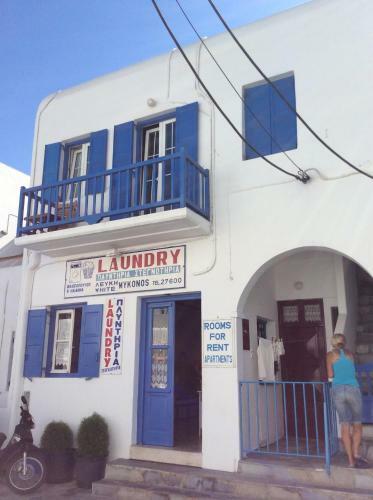 Studio Eleni has a warm and friendly atmosphere in the heart of Mykonos Town. 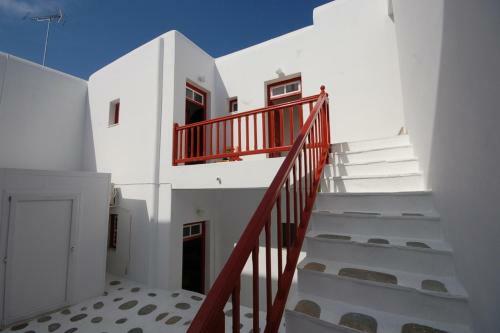 Just 10 minutes' walk from the town of Mykonos, these studios are peacefully situated in Tagoo. Studios offer sea views. 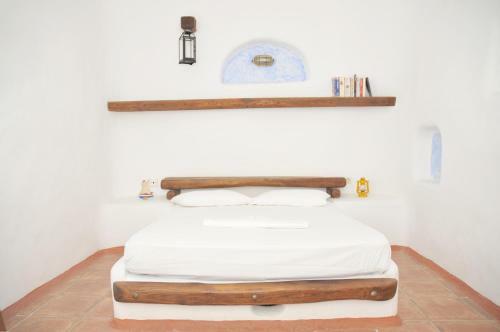 The rooms are attractively decorated according to Cycladic tradition, which is in keeping with the natural environment. Situated on Fabrika Square, close to Mykonos� lively centre, Mykonos Chora Residences offer tastefully decorated accommodation with modern comforts and free WiFi. Set on a hillside of Mykonos Town and surrounded by nature, the Villa Konstantin offers well-equipped, rustic accommodation and panoramic Aegean Sea views. Seatincenter Rooms are conveniently located in the heart of the picturesque capital Mykonos Town and only a few metres from the sea front. 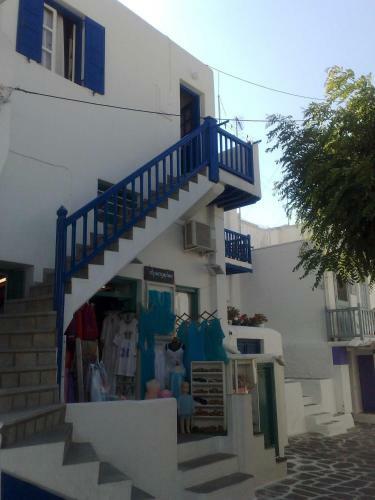 Christina Studios is located in the heart of Mykonos town, within a 3-minute walk of the main bus station and 100 metres from the town centre. Free Wi-Fi is available in all areas. Just steps from the lively centre of Mykonos Town, the white-washed Eleanna's offers rooms and studios with a Cycladic Architecture. Free WiFi access is available. All accommodation types come with fridge and safety deposit box. Located right on the waterfront, in Mykonos Town, Mykonos Town Pad offers spacious, Cycladic-style accommodation with a fully equipped kitchen and a large terrace overlooking the Aegean Sea. Mykonos Windmills are just 500 metres away. Offering a pool and a hot tub, the traditionally built AC Village Christoulis are 2.5 km from Super Paradise Beach. They feature self-catering accommodation with free WiFi. 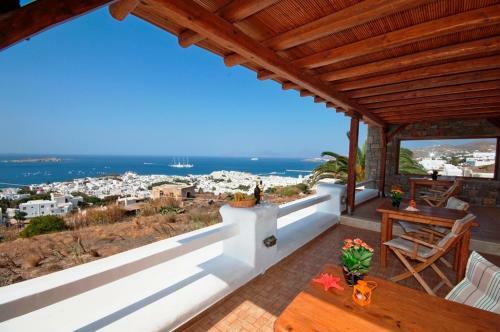 The property is 1.8 km from Mykonos Old Port. Centrally located in the scenic town of Mykonos, Casa Anna set amidst a garden and within 700 metres from restaurants, bars and shops. It features rooms, studios and apartments with free WiFi. Tourlos Beach is 300 metres away. 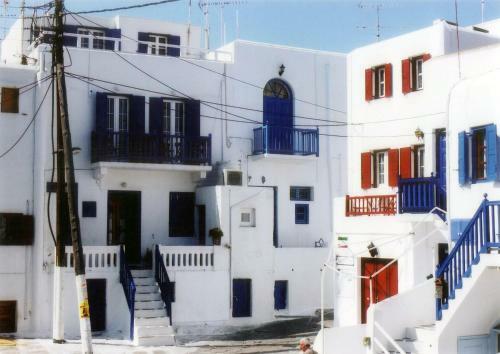 Liana Studios is located in Mykonos City. It offers self-catering units and free WiFi in all areas. 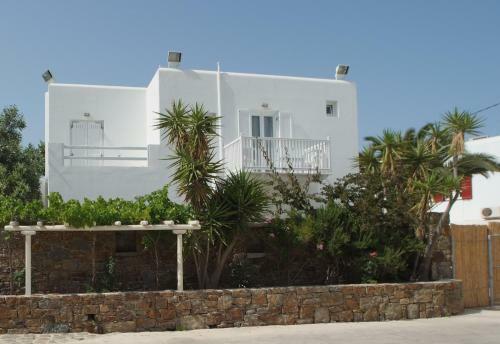 The property is 2 km from Tourlos Beach and 1.5 km from Mykonos Airport. 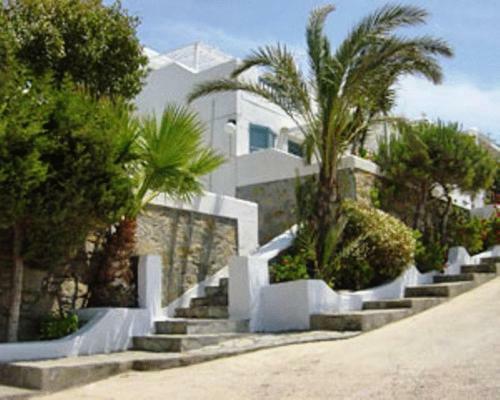 Villa Kampani is a self-catering accommodation located in Mykonos Town. Free WiFi access is available in all areas. 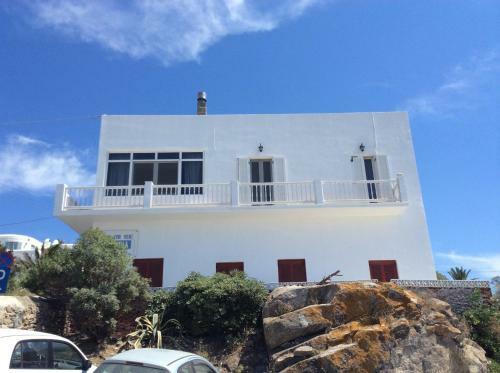 The property is 300 metres from Mykonos Old Port and 400 metres from Little Venice. 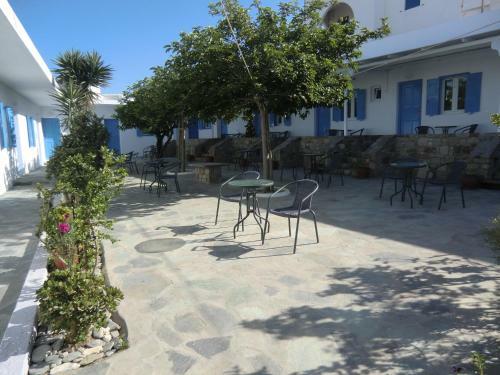 Peristeronas Village is a self-catering accommodation located in Mykonos. Free WiFi access is available. 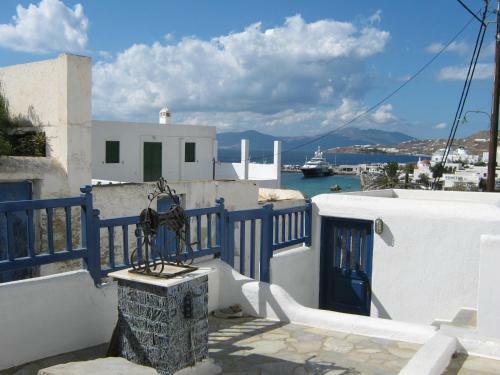 The property is 1.8 km from Mykonos Old Port and Archaeological Museum of Mykonos. Located 500 metres away from the old port of Mykonos, Riva Suites offers elegant accommodation with free WiFi access. The new port is 2 km away and the airport is at 3 km. Just 100 metres from Agia Anna Beach, the traditionally built Peter's Arhontiko is located in Mykonos Town. It offers self-catering accommodation with a balcony. 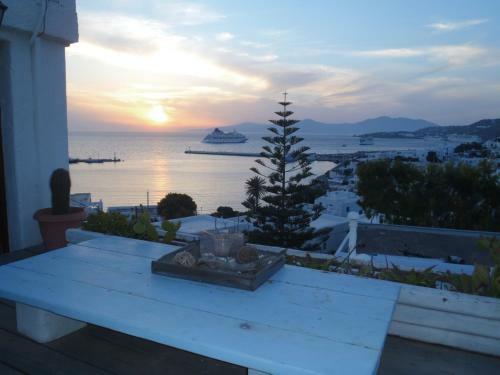 The property is 300 metres from Mykonos Old Port and 400 metres from Little Venice. Within 80 metres away of Viva Beach, Liana Rooms offers accommodation with free WiFi access. 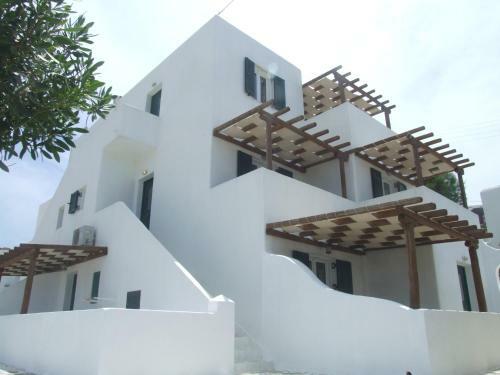 Centrally located in Mykonos Town, it is only 300 metres from Little Venice and Mykonos Windmills. Queen Boutique Suites is located 1.7 km away from Mykonos City and 2 km from Paradise Beach. It offers tastefully decorated units opening out to a patio and terrace with garden views. Free WiFi is provided in all units. Centrally located in the charming main town of Mykonos, Alana offers Cycladic-style accommodation within 200 metres from the famous windmills and Little Venice. Mykonos Airport is only 2 km away. Mykonos Marina offers rooms and one-bedroom apartments located in M�konos City, 300 metres from the local harbour and 150 metres from the sandy beach. Free WiFi access is available in this air-conditioned residence. Located in Panormos Village of Mykonos, the stone-built Villa Irini features a private pool and a furnished sun terrace amidst its well-tended garden. Free WiFi access is provided throughout and free transfer from Mykonos Airport is offered. Quietly located 800 metres from the centre of Mykonos Town, the Cycladic-style Margie Mykonos Hotel offers a swimming pool and sun terrace. It features elegant rooms with free WiFi and terrace. Restaurants and shops are 100 metres away. Just 300 metres from Glyfadi Beach, Mykonos Mystique features a free-form pool and a bar with unobstructed views of the Aegean Sea. 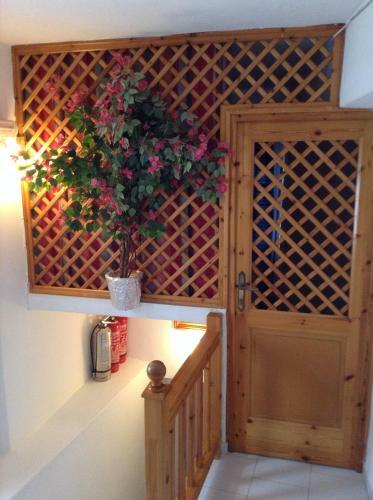 It consists of traditionally decorated studios and apartments with free WiFi. Centrally located in the cosmopolitan Mykonos Town, the Cycladic-style Karboni Hotel offers self-catering accommodation with free WiFi access and town views. It has a shared kitchen with dining area. Just 100 metres from Agios Charalampos Beach, the Cycladic-style Fraskoula's Town is in Mykonos Town. It offers air-conditioned accommodation with free WiFi and a shared terrace or a private balcony. Little Venice is 30 metres away. Villas Kappas is a detached villa with a garden, set in Agios Sostis Mykonos in the Mykonos Region. 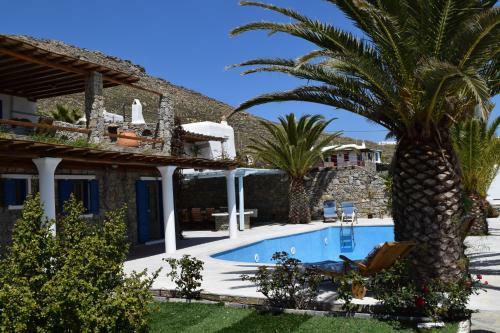 The air-conditioned unit is 5 km from M�konos City, and guests benefit from free WiFi and private parking available on site. Boasting a privileged location, 200 metres from the beach, Olympia is located a 5-minute walk from the centre of Mykonos. It features free WiFi and rooms with a flat-screen TV. Each room includes a fridge and air conditioning. 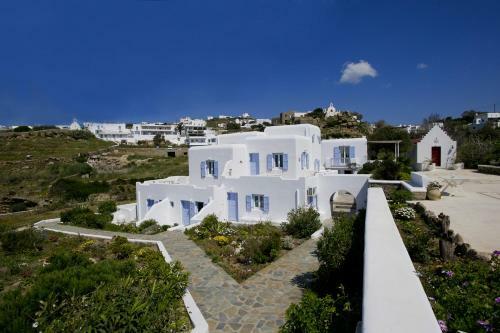 Enjoying panoramic views over Panormos Bay, the white-washed Mykonos Panormos offers villas of Cycladic style. Most of them feature a communal or private swimming pool with a sun terrace. Free Wi-Fi is available in all areas. The whitewashed Gryparis Club is located 800 metres from the lively Mykonos Town. 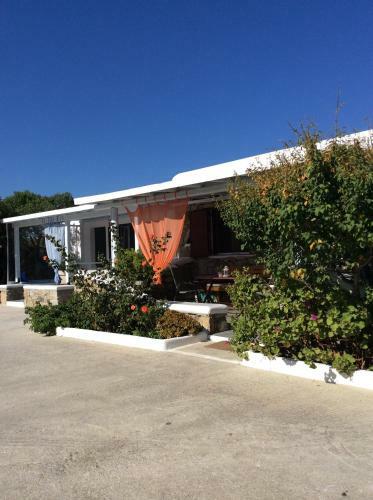 It offers self-catering accommodation with WiFi and a sun terrace with stone-built sofas. Mykonos Port and Mykonos International Airport are 2 km away. Located 300 metres from the lively Mykonos Town, Boheme features a free-form pool and a furnished sun terrace with unobstructed sea view. It has a poolside snack bar and a restaurant, and offers air-conditioned accommodation with free Wi-Fi. Right in Fabrica square in Mykonos Town, White Myth is a conveniently located pension with easy access to the harbour and the beach. Guests are offered complimentary port transfer upon arrival. Casa Del Mar Mykonos Seaside Resort offers Cycladic-style villas with views of the sea, the sunrise and the island of Naxos. 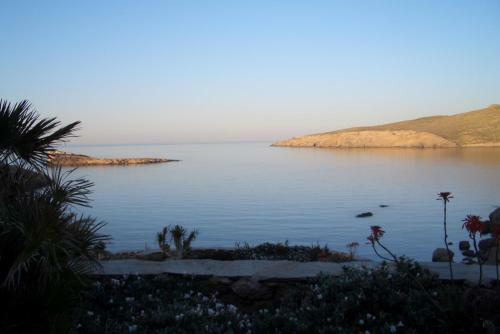 It is situated in the area of Aleomandra, over its private cove on Glyfadi bay. Located right next to the famous windmills of Mykonos and close to the picturesque neighbourhood of Little Venice, Mykonos Theoxenia Hotel is a retro property that offers 60's-inspired suites, along with a wide variety of high-quality facilities. 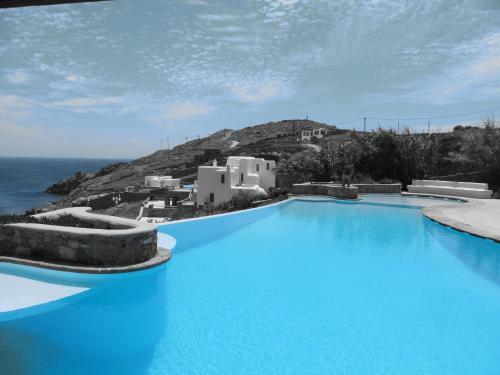 Villa Matina is situated on a hill overlooking Chora (Mykonos Town). The friendly property offers air-conditioned rooms with private verandas, and features a swimming pool with beautiful sunset views. Free WiFi is available in public areas. Overlooking the beautiful Agios Sostis Bay, this new Mykonian-style, family-run hotel offers local cuisine and an infinity pool with sun terrace. All Mykonos Star rooms and suites offer stunning views of the Aegean Sea and the scenic Panormos Bay. Only 200 metres from the centre of Mykonos Town, Maroulina�s Boutique Studios & Apartments offers spacious accommodation with a kitchenette and free WiFi. A bus stop is at 500 metres, while Ornos Beach is 4 km away.